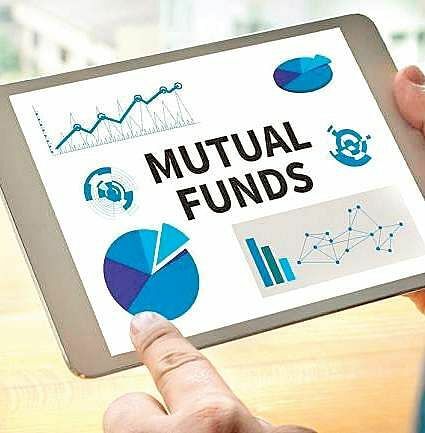 As the calendar year 2018 winds to a close, it is a good time to cast a glance at some of the outperforming mutual funds of 2018, and also those that belied expectations during the year. Mind you, this has been an extremely volatile year at the bourses, compounded by fairly large Foreign Institutional Investor outflows. While one does not usually consider near-term, i.e. three and six month performances too seriously, they merit attention this year as it gives us an early indicator how funds are coping and faring post SEBI’s new categorisation of funds. Of the better performers, three funds we have zeroed in on are Axis Bluechip, Mirae Asset Emerging Bluechip and Reliance Multi-Cap. Axis BluechipFund has historically maintained a concise portfolio of 25-30 stocks and has stuck to investing in large caps. Its stock selection style is bottom-up. Its risk exposure has been lower than its benchmark and this has helped it outperform, not just in 2018, but across longer time frames. Mirae Asset Emerging BluechipFund has comfortably outperformed its benchmark Nifty LargeMidcap 250 across time frames ranging from the near-term (three months) to the long-term (seven years). With a favourable risk-reward ratio, this fund focuses on picking growth stocks with maximum focus on large caps currently. Reliance Multi-Cap Fund’s underlying style of Investing is value-based and it has a fair mix of stocks across market capitalisations with large-caps anchoring the portfolio at this juncture. While it has been a performer across time frames, its shorter term performances, even in the wake of market volatility, has been impressive. Of the relative non-performers in 2018, three funds that disappointed were HDFC Equity, Franklin India Focused Equity and Aditya Birla Sun Life Mid Cap. I am excluding small-cap funds here as the carnage in that segment has been particularly sharp yielding magnified negatively skewed returns in 2018. HDFC Equity Fund currently holds a predominantly large-cap portfolio. The top five stocks in the portfolio comprise around 40 per cent of its portfolio and its top 10 stocks account for approximate 60 per cent of its portfolio. The fund takes high conviction bets in stocks, with attendant risks and rewards. Its performance has been volatile over the last few years and it has been slipping against its benchmark. Franklin India Focused Equity Fund is a growth-oriented fund that invests across market capitalisations using a top down stock-picking approach. The fund takes concentrated bets and on an average, the top 10 holdings of the fund accounts for around 50 per cent of its portfolio. Its performance in recent times has not been upto the mark. Aditya Birla Sun Life Mid Cap Fund follows a pure bottom-up investment style. However, its Portfolio Turnover Ratio is relatively higher than many of its peers and that could be one of the reasons for its underperformance not just in the near-term three-month time frame, but also over a longer tenure of three years. While selecting funds though, it is not quite as simple as identifying and picking the top three performers. Selection has to be objective and life cycle stage-based. Also, it must be remembered that just as in every walk of life, this year’s mutual fund performer might turn into a non-performer in a later year, and vice versa.